Currently I am a full-time student in research administration at Emmanuel College, Boston, on the edge of the Longwood Medical Area where I work for HSPH. My degree will be Master of Science in Management, Research Administration (2012). My Research Administration is December 2010. I have studied formally at Tufts University, Harvard University, Harvard Divinity School, California State University-East Bay (then CSUH: California State University-Hayward), Wheaton College, and a number of other schools briefly. My fields were mathematics, social sciences, philosophy, computer science, and environmental policy. Spent 10 years in Harvard Medical School - Department of Global Health and Social Medicine (http://www.HMS.Harvard.edu/dsm) supporting the GHSM Department Founder, during which time we worked on publications, lecture, mentoring, travel, and a series of workshops for medical educators on the topic of integrating genomics research information into medical school curricula at various levels of the medical student education process. Family: Love them all: 2 cousins have been or are vegetarians (no vegans, as far as I know) My kith and kin (my blood relatives) live at a far distance from me; my mother has friends who have deep ties with Boston, particularly with the Park Street Church (founding site of the NAE and the Animal Rescue League) and the Tremont Temple. I don't go often but do listen in with some frequency and attend when attracted by a guest speaker or key topic of presentation and discussion. Location: I work in Boston, MA, and live in Greater Boston, MA (New England). I've met a few list members in New England and would love to network (a) locally and socially (if you live anywhere near here) AND (b) remotely (if you're far away). Church affiliation: My Christian background is a collage, and I've been 'received' as many different and contrasting things, particularly when I was a Chaplain in a large state mental hospital, where patients often called out to me: "Chaplain" or "Rabbi" or "Pastor" or "Father"
I'm an alum of the Harvard Divinity School, where in my alumni information the "North American Vegetarian Society" is listed as my "denomination". After spending time with religious liberalism intensively, I dropped out because they merely 'tolerated' vegetarians and 'didn't get it' on any of the issues. I've looked around a great deal, and I do regularly attend the biweekly Dinner with Dharma events on the 2nd and 4th Friday evenings at the Greater Boston Buddhist Cultural Center in Cambridge, near (but not it) Harvard Square. I make these regular events of the Boston Vegan Meetup, Boston Vegetarian Meetup, Metro Boston Veggie Meetup, and Boston Mandarin Chinese Meetup, which I administer or host. Vegetarian History: Vegan over half my natural life, longer than most human earthlings have been alive" (do a little calculation and 'go figure'). My Wikipedia "About Me" page tells part of my 'vegetarian story' and also a little about the Vegetarian Resource Center, which I founded in the early 1990s to do things that the Boston Vegetarian Society, which I had founded around 1985, wished not to do (such as starting the Boston Vegetarian Food Fest, which now, after it was handed over to BVS, has become its largest event and biggest fundraiser). This e-mail list is a result of early TOPICAL vegetarian organizing; the list was passed over to Frank Hoffman who emerged and offered to develop it into something really helpful for others, which he has. Vegetarian/carnivore family and friends: ~7.0 billion of us human beings inhabit the planet; all SHOULD be vegan, but they've mostly "fallen away" from any semblance of an "original plan" Nonhumans are a somewhat different story, but not entirely. Why I became a vegetarian/vegan/whatever: I had met vegetarians throughout my younger years. A couple (they owned a construction and roofing business) were experimenting with 'natural foods', and the Seventh Day Adventists were around (and we encountered them in several places; my Sunday School teaching in high school mentioned them on occasion, usually in the context of which 'doctrinal deviations' were significant and which are not. I had never considered myself 'a do-gooder', and college friends at a large state university in California who were vegetarians often invited me over to learn about being vegetarian. I felt at the time that going vegetarian would be a sacrifice of some inner personal freedom, and I didn't want to make that decision. However, their rudimentary vegetarian dishes were very delicious (and I didn't need to reciprocate because they wouldn't trust what I prepared for them). Years later, while studying at the Harvard Divinity School, I found some students in an HDS Simple Living Group ("Live simply so that others may simply live.") and thought I'd found another set of "do-gooders" (who were going far beyond the reasonable call of duty to experimentally develop a more exemplary lifestyle or pattern of living. I learned or realized at some point not too long after that that righteous living and exemplary living may be sought from different social sources, as the cultural anthropologists tell us, but they can converge and produce a social culture that is rife with differences and divisions OR become a richly cross-cultural enabling resource. I fear that we vegetarians have become the former and have shown ourselves to be more sectarian than the Baptists, whose denominations have historically divided - splintered is a better term for the self-clarification and personal retreat dynamics (retreat and clarify) that may be done to avoid confusion (like the Biblical Anglicans who withdrew from the Episcopal denominations because of denominations directions they believe deeply to be unchristian. I founded the Boston Vegetarian Society (BVS) in the mid-1980s (www.BostonVeg.org), where I began the now highly successful Boston Vegetarian Food Fair (against the will of nearly everyone else on the BVS board at that time; now it's their largest moneymaker and outreach tool) and now am a Life Member and Benefactor of the Boston Vegan Association (BVA) (www.BostonVegan.org), where I was for a time active with BVA and active in Vegan Toastmasters (actually, the BVA Vegan Speakers' Training Group, modeled on Toastmasters). BVS is presented (by its founder, Eric Prescott) as an abolitionist vegan organization; your observation of (a) the attendance at any particular time and/or (b) their social and other activities could verify or disconfirm that claim. I wish that you ALL would join LinkedIn and invite me to CONNECT on LinkedIn. 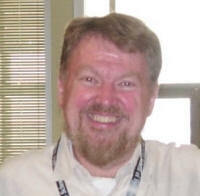 I blog actively - http://www.Maynard.Clark.GooglePages.com -lists my several blogs; at Yahoo! 360, my readership surpassed 1.4 million before Yahoo! closed down its 360 blogging platform. Other free blogging platformshave also closed down or blocked the more active bloggers who USED those public promises of free blogging platforms: Yahoo (its 360 platform was changed to Yahoo! PULSE, with little or no continuity); Microsoft (Live chokes on some bloggers' use of the platform); Multiply.com doesn't 'multiply' the blog to other platforms very accurately or effectively or robustly. I am "active" in Facebook (please 'friend' me there), when my 'Facebook friends' numbers drop below 5000, the upper limit of 'connections' Facebook allows. I have social networking sites all over the 'web', and you can 'friend' me on all of them through MyBlogLog, and at most of them I'm the 'vegetarian' character (who 'landed' on the site and first claimed 'vegetarian' as my login ID). Do check out all these sites below. Annually I attend the annual NAVS Vegetarian Summerfest (www.VegetarianSummerfest.org), where I see Frank and Mary Hoffman almost every summer. I vigorously take digital color photos. http://maynard.clark.googlepages.com/home shows my 8000+ color digital photos of India. I also upload them to my several Meetup groups AND to my Picasa and Flickr pages. And if I DID find the SUITABLE vegan wife possibility, I'd become quite interested in settling down. That's likely unlikely. No one from this list is 'coming forward' to engage in meaningfully serious conversations, so 'go figure' is what the 3rd party cynics would likely say privately among themselves. I am a clean-living vegan (well, a little messy, but no alcohol, drugs, tobacco, or 'bad stuff'), and I'm socially conservative and economically indistinguishable at times, but not always, from what's tagged 'economically liberal' by economic conservatives. I believe in a strong work ethic, but I'm in favor of universalized healthcare (not MERELY medical interventions after medical suffering reaches a crisis point - but rather in a SCIENCE of health optimization for our species, integrating that 'science' of health optimization (call it 'healthcare' if you will, but distinguish it from much of what co-opts that term) through applying the critical tools of the social sciences, good judgment, and a breadth of observation and experience (the 'critical tools' logs, catalogs, and systematically and critically reflects on the gathered or 'distributed' data). They're part of my general outlook and philosophy of living - no more, no less. They can become 'special', but like 'the lost', there are certain recognitions that they 'just don't get it' at a certain level of the self-evident reality: that nonhumans are not only personal - persons, sentient beings who are self-aware (yes, mussels and less sophisticated organisms may be exceptions). I could point to Tom Regan's The Case for Animal Rights, Berkeley: University of California Press, 2004, p. xxxiii., but many folks find that 'most tedious reading'. In The Case for Animal Rights, Regan argues that non-human animals bear moral rights. His philosophy aligns broadly within the tradition of Immanuel Kant, though he rejects Kant's idea that respect is due only to rational beings. Regan points out that we routinely ascribe inherent value, and thus the right to be treated with respect, to humans who are not rational, including infants and the severely mentally impaired. The crucial attribute that all humans have in common, he argues, is not rationality, but the fact that each of us has a life that matters to us; in other words, what happens to us matters to us, regardless of whether it matters to anyone else. In Regan's terminology, we each experience being the "subject-of-a-life." If this is the true basis for ascribing inherent value to individuals, to be consistent we must ascribe inherent value, and hence moral rights, to all subjects-of-a-life, whether human or non-human. The basic right that all who possess inherent value have, he argues, is the right never to be treated merely as a means to the ends of others. In Regan's view, not to be used as a means entails the right to be treated with respect, which includes the right not to be harmed. This right, however, is not absolute, as, there are times when to respect someone’s right not to be harmed, another’s right not to be harmed must be overridden. His philosophy employs principles such as the miniride principle (a.k.a. minimize overriding) and the worse-off principle to deal with these situations. The miniride principle is that when faced with overriding the rights of many innocent beings versus the rights of few innocent beings—when each individual involved would be equally harmed—we should override the rights of the few. The worse-off principle states that, when individuals involved are not harmed in a comparable way given a certain course of action, we should mitigate the situation of those who would be worse-off. Thus, if the harm of a few innocent beings is greater than the harm to many innocent beings, the right action is to override the rights of the many. As this relates to animal rights, Regan asserts the harm in death of an animal is not tantamount to the harm in death of a normal, healthy human. This is supposedly because the ending of an animal life entails the loss of fewer opportunities when compared to the loss of a normal, healthy human’s. Note that arguably this does not make Regan vulnerable to the charge of speciesism, as the evaluation of harm is based on a criterion of opportunity, not in mere species membership. According to Regan, there would be more harm in the death of a normal, healthy dog than there would be in the death of a person who was irreversibly comatose, as the dog would have more opportunities for satisfaction than the irreversibly comatose human.